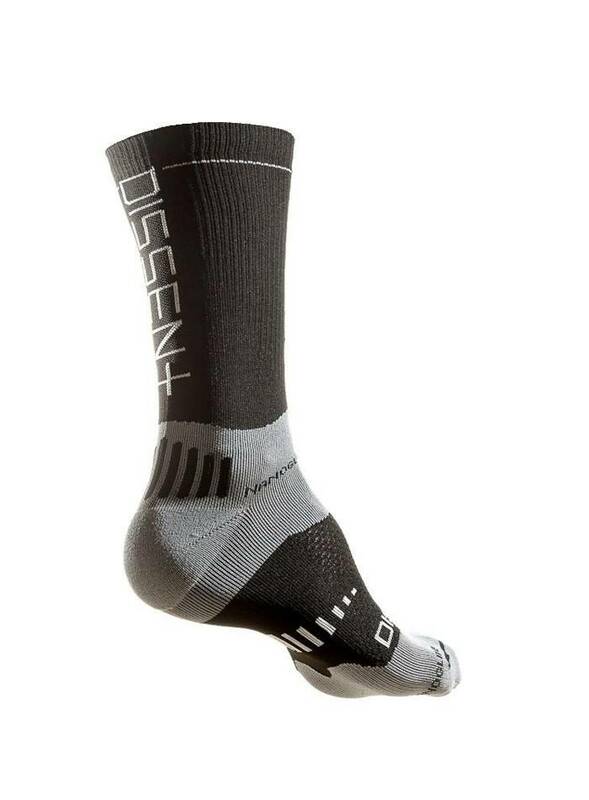 Engineered for all day fit and comfort - backcountry, pedaling, hike-a-bike, bikepark - the longer the day, the better. Dedicated construction and design for modern MTB shoes - improves the feel of any riding footwear. TRUE-Compression - best fit, best feel, increased ankle and arch support, reduced foot numbness. Strategic use of NanoGlide anti-friction yarn - toes, forefoot, heel, instep, ankle - reduced skin chafing, hotspots, and blistering. Low profile padding in the toe area to reduce toe-bang while descending. Profiled 3D-mesh zone over the forefoot - improved breathability and protection from laces, stitching, buckles/hardware. Engineered technical yarn-blend and knit - consistent fit and moisture-management, critical for all day comfort and blister prevention. NanoGlide provides high levels of wear resistance in a thin sock design. Unrivaled memory and shape retention for the ultimate fit, wash after wash. 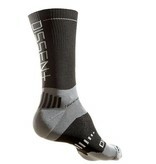 Tight knitting and tall cuff (6-inch) helps to repel dirt, and provides additional ankle protection. Constructed using the best technologies available, using high needle-count machines, for exceptional feel and quality. Sovereign Cycle is your exclusive Norco, Devinci, Yeti, and Evil bikes dealer in West Kelowna BC.